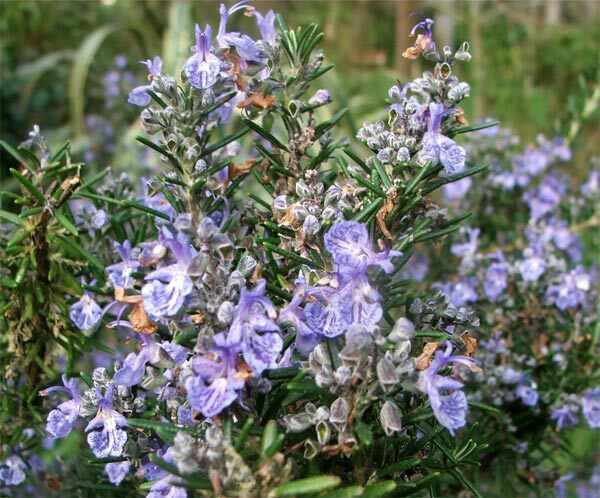 Would it be rude to describe the flowering shrub Rosemary as a 'work-horse' in the garden? My Rosemary bushes are just that - they work hard filling their space, gift their beautiful blue flowers freely in spring, and never complain. Rosemary's lot in my garden consists of sun, bees, and being pruned back anytime I can be bothered! Of course the needle-like leaves are sometimes used in the Moosey kitchen, and I pick pieces for flower arrangements for the house. She is an aromatic shrub which enjoys my slightly sandy, free-draining soil. Some gardeners might think her scruffy - not me! And what a beautiful name - one of the best!